to restore me to good health. Signed by Fr. Andy Knop, O.M.I. 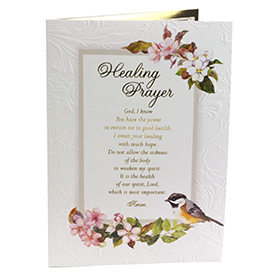 A Prayer of Healing and Hope, a brief history of the Miracle of Lourdes and Missionary Oblates of Mary Immaculate are all included in card. The card you are requesting is not signed or personalized.